Experience the magic of Christmas up close and be enchanted by it: once again this year, SWISS invited Swiss families on a unique trip to the home of Christmas. Some 25,000 Swiss applied to take themselves, their families or friends on this unforgettable trip. 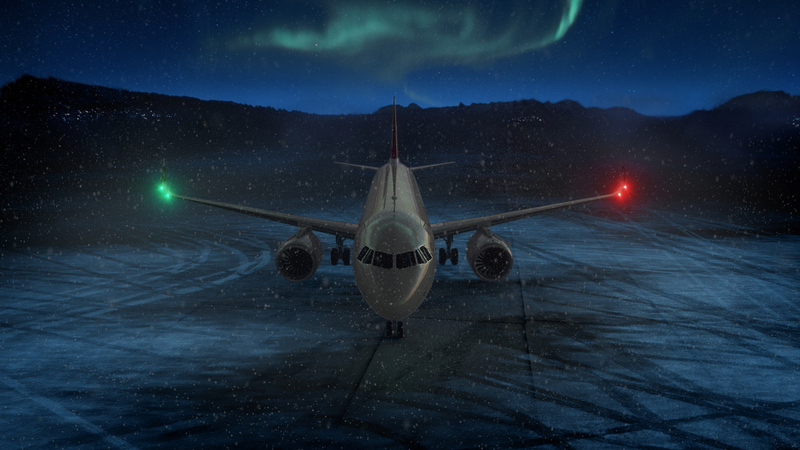 And it's nearly time: The Christmas special flight LXmas will take off on 1 December with around 100 happy winners on board, bound for Rovaniemi, the town at the heart of Finnish Lapland. The families will immerse themselves in the wonderful world of Christmas, and spend the first weekend of Advent with lots of magical moments. A day that no one will forget in a hurry: reindeer, sleigh rides, polar lights, festive Christmas food – and it's even possible that "Samichlaus" – Santa Claus – could be a guest on this magical trip. The competition is carried out by Swiss International Air Lines (hereinafter referred to as “SWISS”). For the sake of readability the masculine form was chosen in the text, nevertheless the information refers to members of both genders. In order for the competition entry to be valid, the entrant must complete the online form at www.lxmas.chand accept the entry conditions and the conditions with regard to the transfer of all rights to photos, images and/or films about you and the waiver of personal rights. The competition will open on 06 November 2018 and end on 21 November 2018 at 23:59 pm. Participation in the competition is free of charge and independent of any purchase or the utilisation of such services as are subject to a charge. The competition is open to anyone who is resident in Switzerland. Persons may only participate once per individual competition. Multiple entries are not possible and will be eliminated. In the event of a win, the participant will announce his accompanying person(s) as stated in the form (max. 7 people can be registered on the form). The winner and his companion/s must be in possession of valid ID (card or passport). Any individuals who are still under-age will only be allowed to attend if accompanied by at least one adult. The competition is not open to employees of SWISS, its subsidiaries, the Lufthansa Group and their dependants, and any agencies appointed by Swiss and their employees. By participating in the competition, entrants declare their acceptance of the competition rules. Entrants are solely responsible for any costs arising from their entry in the competition, should such costs lie beyond the control of SWISS (such as the entrant's personal online access, for example). SWISS underlines that the participant’s personal data (incl. email addresses, names, addresses, etc.) are only used within the framework of the competition as per Art. 6 para. 1, S. 1, lit. b) of the GDPR to comply with the contractual obligations. SWISS also states that this data will not be forwarded to third parties or given to them for use and will be treated confidentially as per the GDPR unless the participant expresses consent to have the information transferred to partner companies. A withdrawal of consent via email to dataprotection@swiss.com is possible at any time. One exception is in the event of a win, in which case the participant agrees specifically that SWISS may publish his name and the name of the town where he lives. By participating in the competition, the participant hereby, expresses consent to the storage of his email address and the stated personal data and that the data can be used for the execution of the competition. SWISS reserves the right to check the correctness of the data provided by the participants. The user can gather information about the data stored by SWISS at any time free of charge. If you send us a copy of your identification card, we kindly ask you to redact all information apart from your surname, first name and address. To be able to process your application and for purposes of identification, we would like to point out that we process your personal data according to Art. 6, para. 1, lit c, of the GDPR. Furthermore, as per Art. 77 GDPR in conjunction with Art. 19 BDSG [Federal Data Protection Act], you have the right to submit a complaint to a supervisory authority. The supervisory authority responsible for SWISS is the Federal Data Protection and Information Commissioner (FDPIC). Due to reasons that result from your particular situation, you always have the right to object to the processing of your personal data that takes place due to Art. 6, para. 1, lit. e or f of the GDPR. The person responsible will stop processing your personal data, unless he can prove compelling and legitimate reasons for processing that outweigh your interests, rights and freedoms or if processing helps the enforcement, practice or defence of legal claims. If your personal data is processed for direct advertising, you have the right to appeal against the processing of your personal data for the purposes of such advertising at any time. If you object to the processes for the purposes of direct advertising, your personal data will no longer be processed for these purposes. In connection with the utilisation of the services of information societies – notwithstanding Directive 2002/58//EC – you have the possibility of practising your right to objection by means of an automated process, in which technical specifications are used. SWISS is entitled to exclude individual entrants from the competition if justified reasons exist, such as the violation of the terms and conditions of entrance, influencing the competition, or manipulation. Participants who are entered automatically, i.e. by bots or other technical means, will also be disqualified from the competition. In the event of a reason for exclusion from the competition, prizes may be withdrawn retroactively and any prizes that have already been paid out or delivered reclaimed. We are giving away 100 seats on the charter flight to Rovaniemi, Finnland, as well as accommodation and inclusion in the organised programme of activities there. The rooms will be allocated by SWISS to suit the size of the family (maximum 7 people). Participants must arrange their own insurance. We advise all participants to take out travel incident insurance. SWISS will accept no liability or costs in the event of accident or injury. Participants must pay for their own alcoholic drinks and other private purchases. Participation deadline is 21 November at 23:59. Entries received after the closing time of the competition will no longer be considered regardless of the reason for the delay. The electronic time-stamp on the entry shall determine if it was received before the deadline. SWISS will not be in any way liable for delayed entries, and in particular cannot be held responsible for technical interruptions during transmission, especially for failures of the network, the electronics or the computer and will inform the respective winner via email. Any further communication between SWISS and the winner will take place in private, individual messages. The draw will take place in private within 48 hours of the end of the competition. All claims to the prize will become null and void if the winner does not respond to notification of his prize by 25 November 2018, 23:59. The winners will be contacted by email. The prize is awarded exclusively to the winners in the stated form. It cannot be exchanged for anything else or paid out in cash. The prize cannot be given to a third party or sold. The prize applies exclusively to the aforementioned «LXmas» charter flight. The validity cannot be extended, nor can the flight be changed to a different flight and/or travel day. Seats will be allocated by SWISS. No miles will be given for the prize. The persons named by the winner are authorised to travel provided they are meet the criteria listed below «Competition entry». The personal details of all the passengers must corresponding with the information contained in the identity document carried by the passengers (ID / passport) on the day of travel. No name changes can be made once the flight passengers have been announced. The winner and his travel companions must report to SWISS at Zurich airport at the stipulated time on 1 December. In the event of delayed arrival, the prize will become null and void. The winners and their travel companions are responsible for their travel arrangements to Zurich airport. No correspondence will be entered into. There is no right to legal redress. There is no legally enforceable right to transfer, payment in cash or exchange of the prizes. Swiss law applies exclusively. SWISS reserves the right to change the competition or entry conditions etc. at any time. Moreover, SWISS reserves the right to terminate or interrupt the competition at any time. This applies in particular in the event of any reasons that would disrupt or prevent the scheduled course of the competition. Insofar as this is permitted in law, no liability whatsoever will be assumed by SWISS. Swiss law applies exclusively for this competition. SWISS shall not enter into dispute resolution with a consumer arbitration board, nor is it obliged to do so. Should any individual provisions set out in the entry terms and conditions be invalid or unenforceable, this will not affect the validity of the other provisions. The invalid or unenforceable provisions are to be replaced by such valid and enforceable provisions that are as close as possible to the original ones in terms of the impact of the objective pursued by SWISS. In the event of a discrepancy between the German and English versions of these terms and conditions of participation, the German version is deemed to be defining. This competition is in no way linked to Facebook, Instagram or Twitter, and is in no way sponsored, supported or organised by Facebook, Instagram or Twitter. Contact person is Swiss International Air Lines and not Facebook, Instragram or Twitter. By accepting the entry conditions, in the event of a win and participation in the trip, you transfer irrevocably all rights, in particular all rights of use and exploitation, to the photos, images and/or films of and about you to Swiss International Air Lines AG (SWISS). SWISS is authorised to use, utilise and exploit these photos, images and/or films in any media and for any purposes, and in particular for advertising and marketing measures, without restrictions. You also declare that you waive irrevocably your personal rights towards SWISS with regard to the above photos, images and/or films.